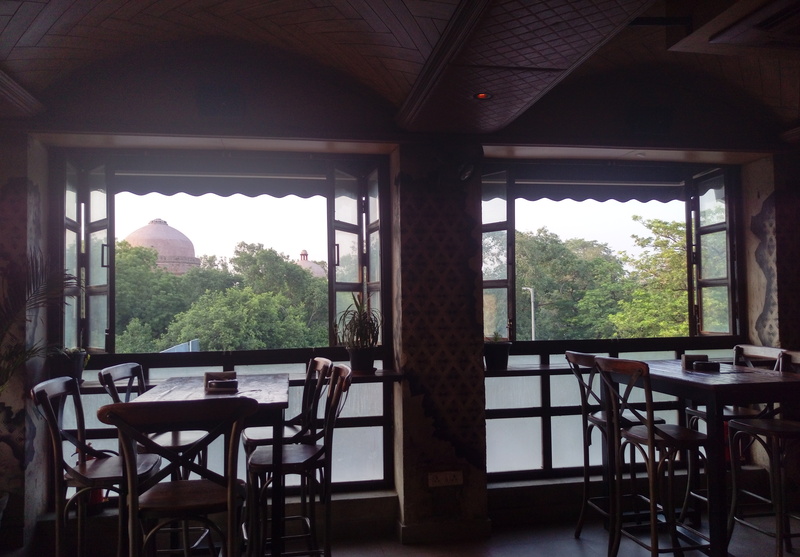 If you like the open air terrace sitting, a view of green trees around and a tomb peeping from the green , an array of mist fans spreading a cool breeze even in a hot evening making it a perfect place for a romantic dine out with your loved one. 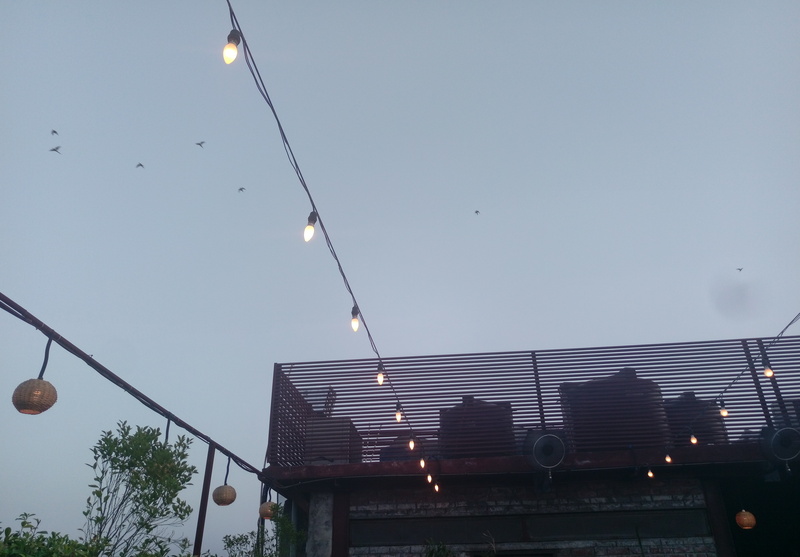 The best thing is the evening chirps of birds heading to their home in groups after a long day of work and that make the sky view complete with these birds flying back home and very similar to my state, coming for some me time after a hectic day at work. 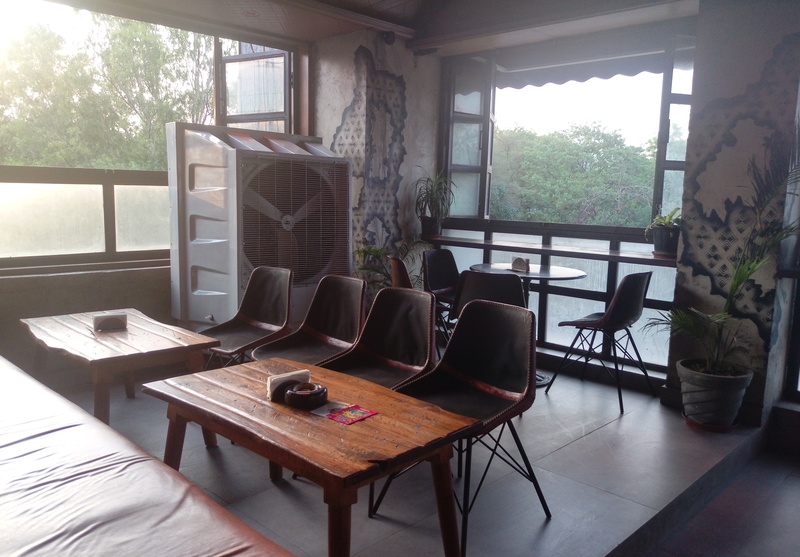 Have a look at smoking zone with a great view. And the non smoking zone with the bar and the band stage is no less. 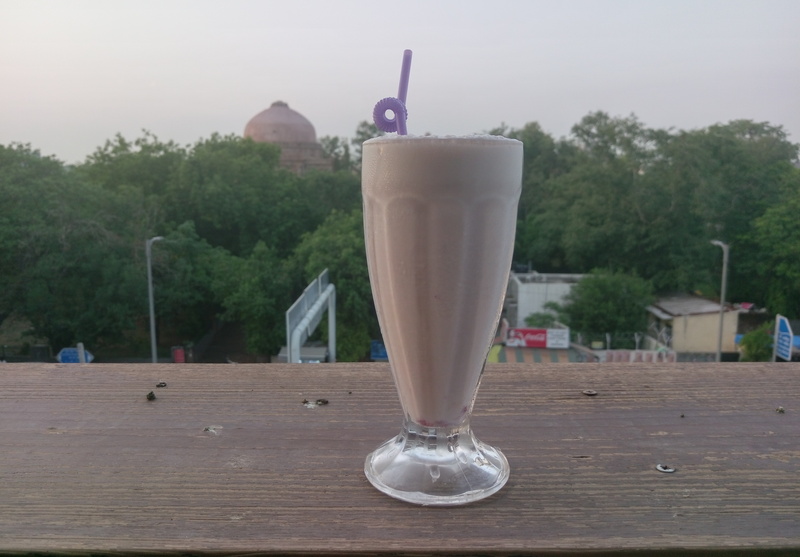 Opted for a shake – Blueberry Banana Shake , made with real banana and blueberry slush and milk base was very comforting and soothing for the right start of the evening. 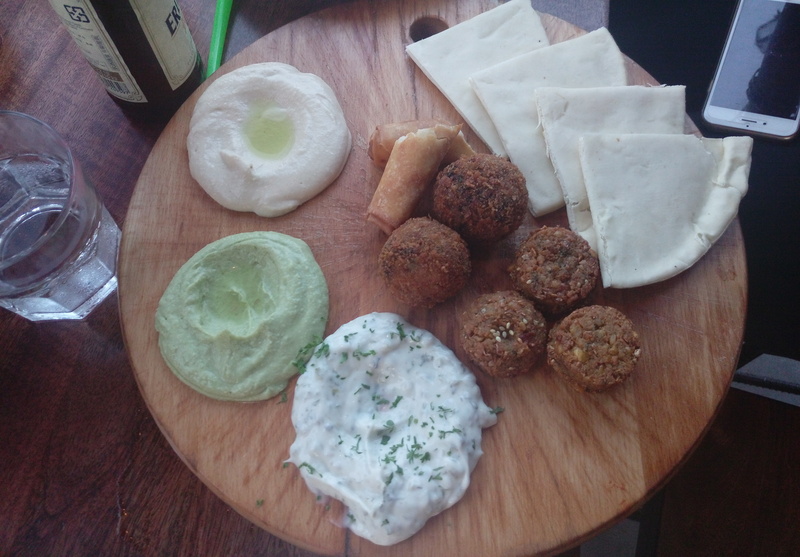 And moving to starters I am love with their Veg Mezze platter especially the dips. And the quantities are sufficient. Being a salad lover, I just love trying salads at different places. And this one had served one of the best salads that I had after months. 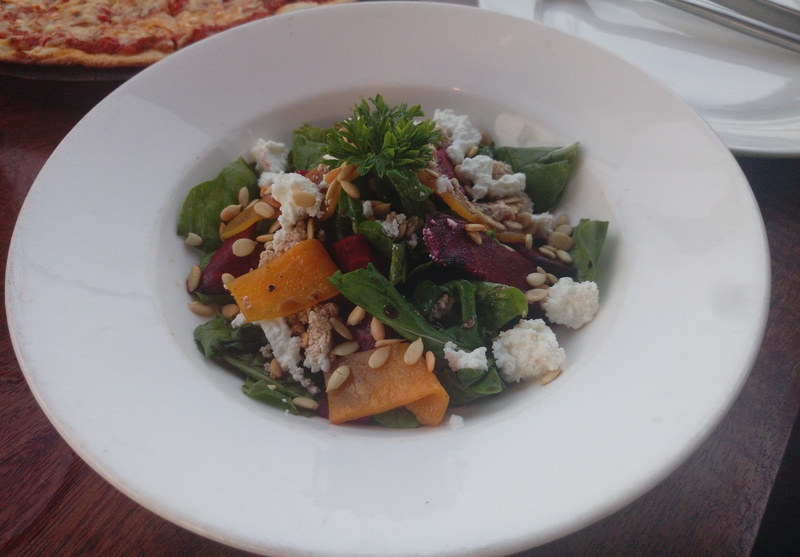 Roasted beetroot ,pumpkin ,rocket leaved and feta cheese. And the pumpkin seeds added the much needed crunch along with the after taste of the seasoning. A must pick here is their burgers and the filling in the burgers are simply outstanding, too many options to choose from is literally a task. 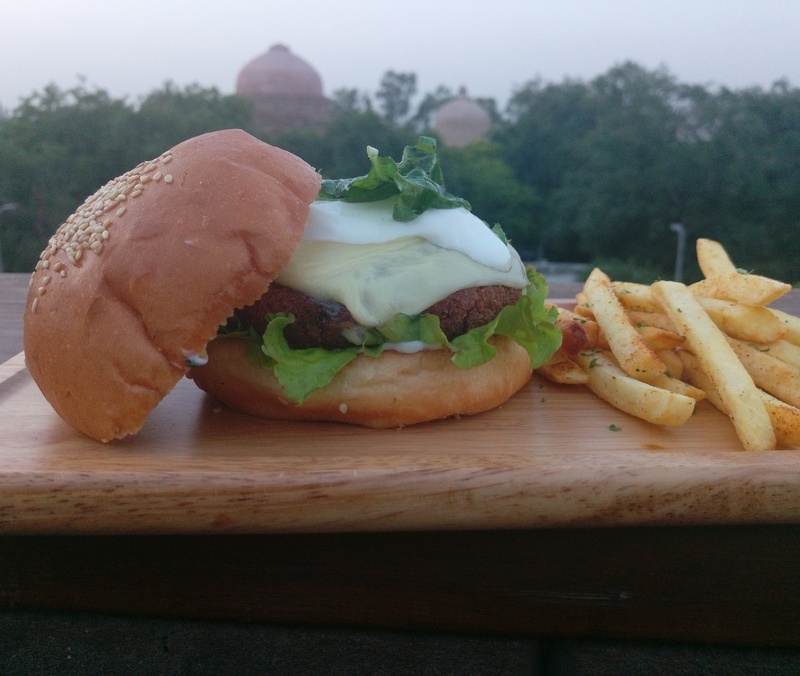 I played safe with a baked beetroot burger. 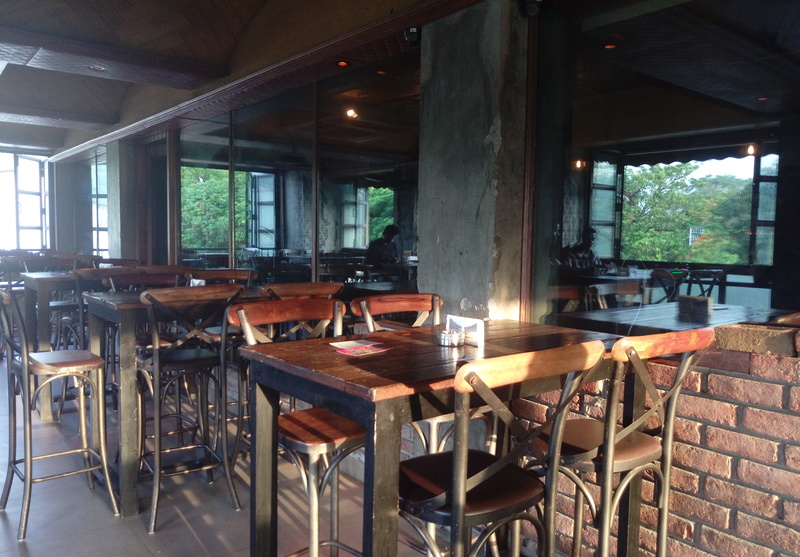 Had a good experience with a great view and amazing food & music.